Due to the global environmental impact concern, every individual has become more conscious of attaining a greener future. As a result, people are trying to care for the environment through any available environmental friendly way. More emphasis has been put on energy saving mechanisms both domestically and commercially. Eco Efficient Manchester has been in the front line in helping you to raise your green score through energy efficient boiler and heating system services. Our services include; boiler installation, central heating installation & repair, boiler repairs & maintenance, boiler servicing and gas & boiler leaks among others. Our services extend to the whole of Manchester city and surrounding areas including Bolton, Wythenshawe, Bury, Oldham and Ashton-under-Lyne. During our over 10 years success in boiler and heating system servicing services, we have gained confidence and experience in all our services which have translated to excellent customer feedback and referral within Manchester and Beyond. We are committed to provide quality services for both domestic and business gas, central heating system and boiler requirements that are not only within their budgets but also help them save on their energy bills. If you are in Manchester, Wythenshawe, Bury, Ashton-under-Lyne, Oldham and Bolton, we are able to help you fix your boiler issues, boiler installation, central heating repairs and many other services. Our name is always in the lips of our customers and this is an evidence of our efficient and quality services. We are experts in a wide range of boilers and heating systems including and not limited to: Valliant condensing boilers, unvented hot water systems, central heating full system among other technologies, and our engineers are highly qualified and certified. We have made a name in Manchester and surrounding regions through our professionalism, high quality, customer service, competitive rates and experience. Through these we have expanded our customer database through referrals and our customer satisfaction record is unmatched. A faulty boiler could lead to extra costs in terms of energy bills or leaking of poisonous gas. It is hard to tell whether your boiler is working properly from the look of an eye. We will help you to service your boiler regularly to ensure that it is in a good and working condition. Eco Efficient boiler engineers are Gas-Safe-Registered and are equipped with the necessary equipments to ensure quality services and safety. Our boiler serving involves inspection of the controls and other main components, inspect leaks and corrosion, checking gas pressure and boiler cleaning, among other maintenance tasks. Our technicians are qualified and experienced to perform various boiler repairs wherever you are in Manchester and its environs. Even in an emergency our well-trained engineers will respond promptly and get your boiler up and running within minutes. We have expertise and experience in an array of boiler faults ranging from leaking, circulation problem or any kind of malfunctioning and complications. Our engineers are also kind enough to equip customers with helpful tips of taking care of boilers to avoid future repair or replacement expenses. Whether you want to upgrade your boiler, new boiler installation or replacement for your old boiler, Eco Efficient Manchester has the answers for you. Our boiler installations Engineers and technicians are highly qualified and have years of experience to ensure that your boiler is installed in a safe way and by professionals. Our installation engineers and members of the technical team are also certified and registered with relevant regulatory bodies. If you are in Manchester or the areas of Bolton, Oldham, Bury, Ashton-under-Lyne and Wythenshawe, contact us and our team will help you install business or home boiler at the best rates. Our experts can also guide you in purchasing an ideal boiler for your needs. 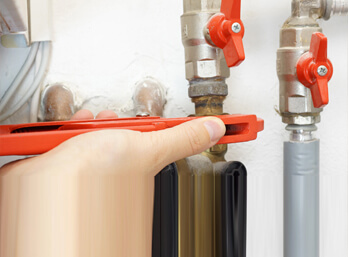 Boiler leaks can be dangerous and you should resist any temptation to repair gas and boiler leaks. There are different causes of a leaking boiler. It could be a problem with the seal, the valve or other damaged boiler components. If you realize or suspect your home boiler is leaking, contact us immediately and our 24-7 gas safe registered engineers will come immediately to help you out. Our Engineers use the right tools and have the experience to inspect boiler leaks, identify the source of the problem, and solve the leaking problem for good right for its cause. We treat boiler leaks with urgency and we have a team ready at any given time to help you out and prevent more damage. 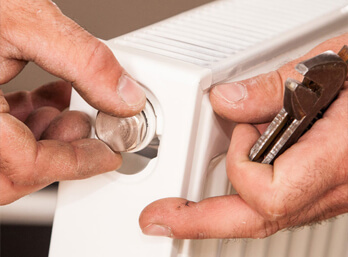 We have over 15 years’ experience in installing central heating systems. 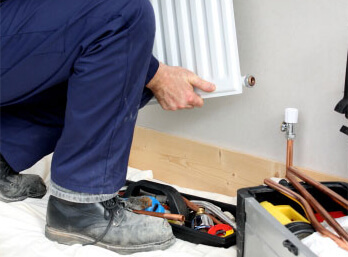 We boast of highly qualified engineers with experience in modern and cost-effective central heating systems consisting of boilers and radiators, renewable heating solutions and under-floor heating systems. If your energy bills are straining your budget or you have an old heating system, call us now and our central heating installation experts will help you with an upgrade. Defective central heating systems can lead to avoidable energy costs and also can be a risk to you and your family. If you suspect a problem with your central heating system, call Eco Effective Manchester and our highly trained engineers will help inspecting the problem and solve it instantly. It is also advisable to have at least annual heating system checks to avoid unnecessary costs of central installation repairs. No more waiting! Call Eco Efficient Manchester and our Engineers and technical team will be able to help you promptly at pocket friendly rates.